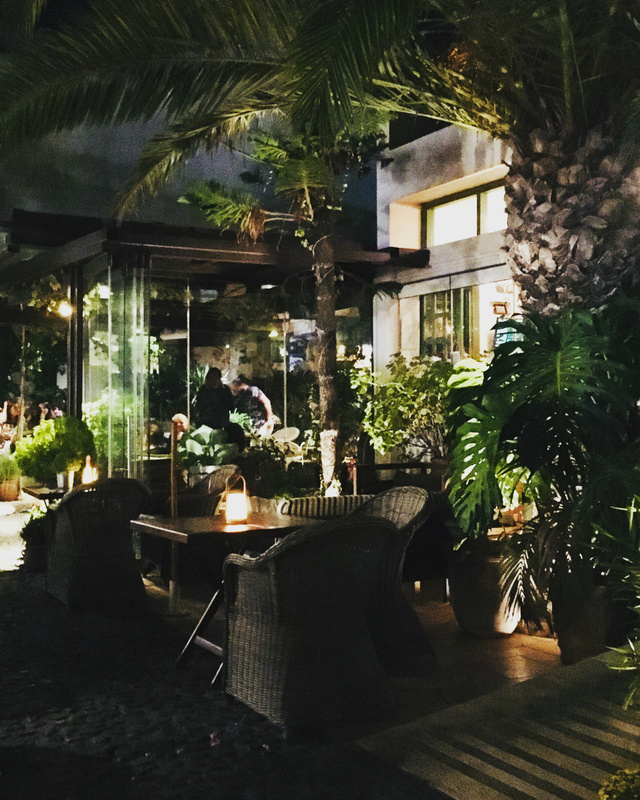 This delightful, lush, green little oasis cafe and restaurant can be found right in the centre of Thira town and really needs discovering! The restaurant is set within the stunning garden grounds, laden with palm trees, flowers, potted plants, shrubs and ferns and features cute little individual candle lit dinner tables (by night) and shade covered lunch tables by day, dotted secretly around the garden space giving a beautiful tranquil feeling of privacy and peace. With a variety packed Mediterranean menu and wine list to boot, just relax and work your way through both, the food was great, we loved their Greek salad, their fresh fish was mouth-watering and cooked to perfection and the octopus was really up there, not forgetting their fresh fruit and ice cream combinations to refresh the palette, no complaints here, tried and tested with great service too, in fact the staff were actually really lovely. Pop into Pelican Kipos for either lunch or dinner, a tea or coffee, a glass of wine, bubbles or a cocktail and just soak up the relaxing vibe, away from the madding crowd, just lovely. This restaurant is just beautiful and a great find in the town of Thira.